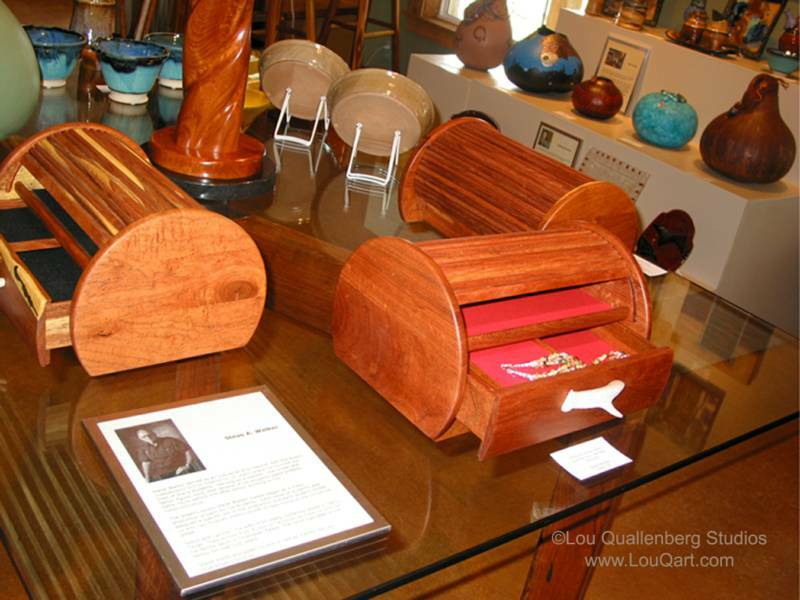 The roll top or tambour mesquite jewelry boxes that Steve A. Walker makes began as a mass production project for his Industrial arts students. Each table of students was assigned a specific job in the production and each student ended up with two finished jewelry boxes to take home at the Christmas break. 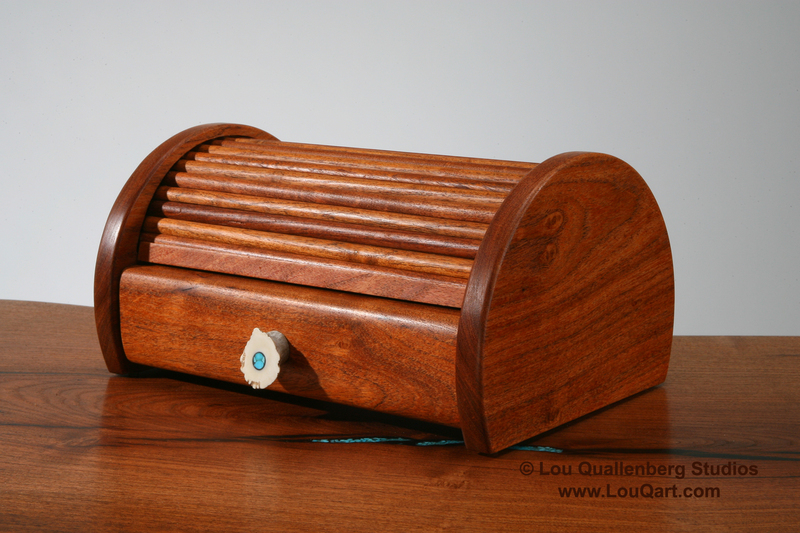 Need something to put in the jewelry box?